A very impor­tant aspect of any under­gro­und gara­ge is spa­ce saving. 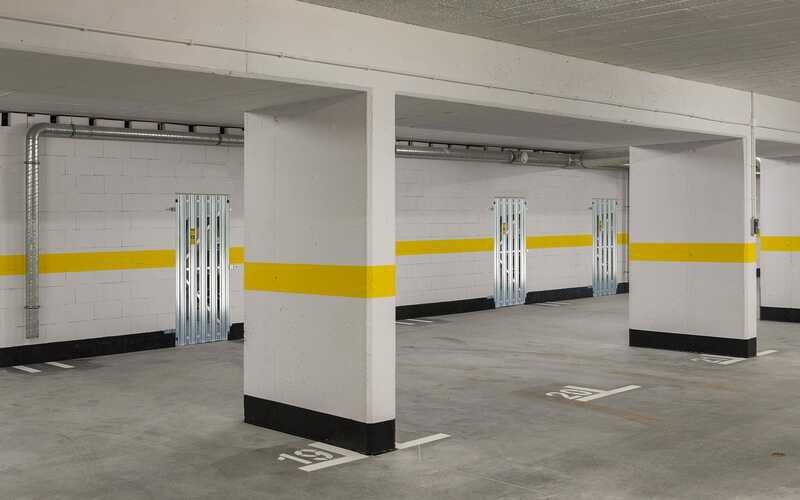 Open­work gates used in col­lec­ti­ve gara­ges are based on the autho­ring sys­tem of Com­pact hin­ged gates. The scis­sor lifting mecha­nism not only saves spa­ce insi­de the gara­ge and also makes the gate more silent and its instal­la­tion is fact and sim­ple, regar­dless the height of the ceiling. Dust­bin shel­ters with open­work is a good-looking, stur­dy and dura­ble solu­tion used for cre­ating struc­tu­res pro­tec­ting muni­ci­pal waste bins.Openwork struc­tu­re is based on best prac­ti­ces used in other GMS Nawo­jo­wa pro­ducts, which ensu­res the sta­bi­li­ty and dura­bi­li­ty of the pro­duct. GMS type sto­ra­ge are­as are an all-fit­ting solu­tion for adap­ta­tion of the spa­ce for indi­vi­du­al needs of the occu­pants of mul­ti-fami­­ly buil­dings. The modu­lar par­ti­tion sys­tem allows for the use of GMS pro­ducts at any spa­ce. Our doors are an excel­lent alter­na­ti­ve to the heavy, unwiel­dy wooden doors. Con­struc­tion is pro­vi­ded with fit­tings made of pla­stic with high strength, which streng­thens the door and eli­mi­na­te poten­tial cor­ro­sion. Basem­net doors are ava­ila­ble in cer­ta­in types of fil­lings.